We specialize in diabetic management, hypertension, high cholesterol, geriatric assessment, migraines, osteoporosis, arthritis, thyroid disorder, and more. Our services include blood work, vaccinations, EKG’s, and joint injections. Our services include blood work, vaccinations, EKG’s, and joint injections. Dr. James Covalesky is board certified in internal medicine. He has completed extensive research as a principle investigator in Diabetes, Alzheimer’s Disease, Hypertension, Osteoarthritis, COPD and Anemia. 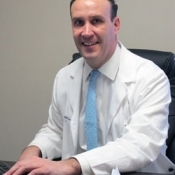 Dr. Covalesky accepts most major medical insurances and is currently accepting new patients. 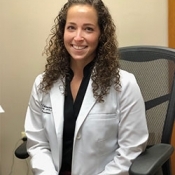 Tara Chencinski, APN-C is a certified nurse practitioner in family medicine. Our office is based on the belief that our patient’s needs are of the utmost importance. Our entire staff is committed to ensuring that all of our patients receive the personal attention they need. We would welcome the opportunity to earn your trust and deliver the best care in the area. Patients can preregister and save time when arriving for their appointment by completing their information on the Patient Portal. Please call the office and give our staff your email to become “web enabled”. You will then receive an email with instructions for logging on. Download these forms to save time when arriving for your appointment. We are conveniently located near intersection of Route 9 south and Union Hill Rd. Please call our office if you do not see your insurance listed here to confirm acceptance.